Flectarn warrior trousers with knee pads. Superb trousers in flectarn camouflage. 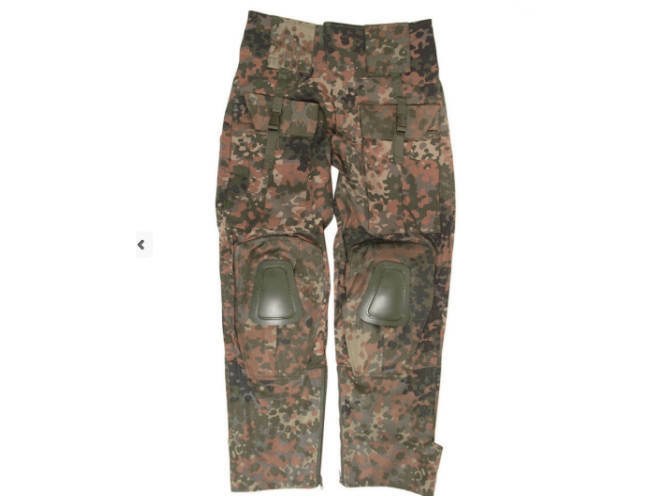 This is a great trousers for airsoft and work.Knee pads keep your knees from getting injured. fly opening with Velcro and zip. two back pockets with Velcro closure. two pockets at front with zip. Velcro and zip adjustable leg width. Has 2 side zips along the length of both legs for easy removal. Wide belt loops for larger belt. Comes with two magazine pockets with Velcro.